The murder of the Florida based NRI businessman Chiurupati Jayaram was found as the latest episode of honey trap crimes. With the arrest of a realtor and his driver it was now clear that the murder was an episode of honey trap.Mr Jayaram was honey trapped and killed as he could not repay a loan he had taken from the realtor, police said. 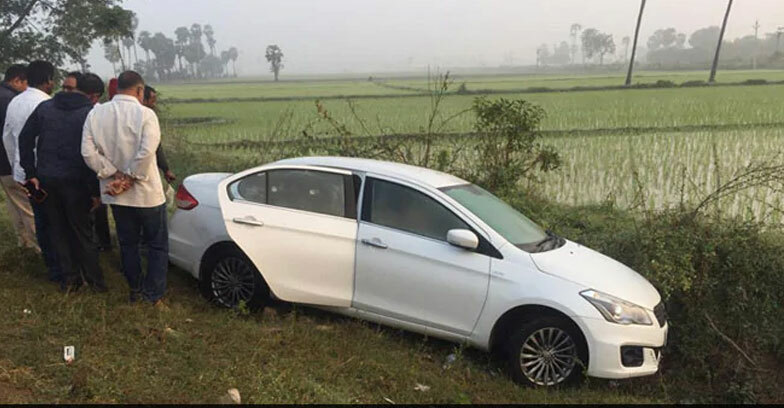 The 55-year-old businessman was found dead in the back seat of his nearby the Nandiagama national highway in Andhra Pradesh in January 31. Krishna District’s Superintendent of Police Sarvashresht Tripathi told reporters that Reddy murdered Mr Jayaram as the latter had failed to repay a Rs. 4 crore loan. Mr Jayaram, also a Managing Director of Express TV, a now defunct Telugu channel, had come to Hyderabad from the US a few days ago. According to the police officials,When the businessman reached Hyderabad,the accussed went to ask money and the crime was commited for a moments uncontrollable rage.When the accused got to know, Mr Jayaram had only Rs. 6 lakh with him,in a fit of rage,they banged him against a sofa. Mr Jayaram sustained a head injury and died on the spot. Police investigations revealed that Reddy had come into contact with Chigurupati Jayaram after the latter had sought his help to deal with the problem created by the lockout in his company on the outskirts of Hyderabad. Rakesh then became friends with Mr Jayaram’s niece Shikha Chowdary. Police officials said the further investigation is going on and only after a short while it will be clear how many person are there behind the scene.